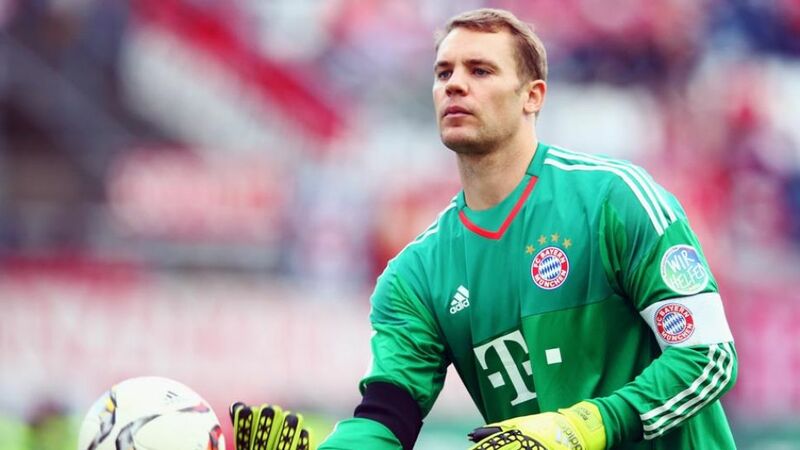 FC Bayern München goalkeeper Manuel Neuer has signed a contract extension, keeping him at the club until 30 June 2021. The 30-year-old's previous deal was due to expire in 2019, but he has followed team-mates David Alaba, Thomas Müller, Jerome Boateng and Javi Martinez in committing his future to the record Bundesliga champions until 2021. "I feel great at Bayern and I'm happy we've managed to finalise everything now," Neuer told the club's official website after putting pen to paper. "We're still in the hunt for silverware in all competitions and have a good chance of winning a lot this year. That's our short-term aim, but also in the coming years. I'm looking forward to the future with Bayern." Neuer, who is widely considered to be the best goalkeeper in the world, moved to Bavaria in 2011 from boyhood club FC Schalke 04. He has since won the Bundesliga title three times, the DFB Cup twice and lifted the UEFA Champions League in 2013.